Winter Music Conference at Faena District [WMC] – set to take place March 25-28, 2019 at the Faena Forum, Miami Beach – today announces its first set of industry luminaries who will lead panels, fireside chats and breakout sessions. Representing the many facets of electronic music culture, these esteemed participants will join previously announced keynote speakers (read the press release here) Douglas Rushkoff, Armin van Buuren, Irvine Welsh x DJ Pierre, Sam Feldt and Laidback Luke – with so much more to come! WMC programming is spread across two distinct segments targeted at industry professionals (WMC // Industry – upgrade) as well as music consumers, college students and aspiring DJs/producers (WMC // Access) looking to learn more about this exciting industry and the music, technology and culture that powers it. Due to popular demand the first tier of WMC // Industry badges are now sold out. Visit wintermusicconference.com to get your badge before prices go up. Be on the lookout for a big announcement regarding the 2019 International Dance Music Awards (IDMA). This year’s awards are powered by Viberate – the world’s biggest crowdsourced platform for listing and mapping the live music industry. Viberate’s metrics based platform will help to make the IDMA’s the most diverse and eclectic awards presentation in the dance music world. 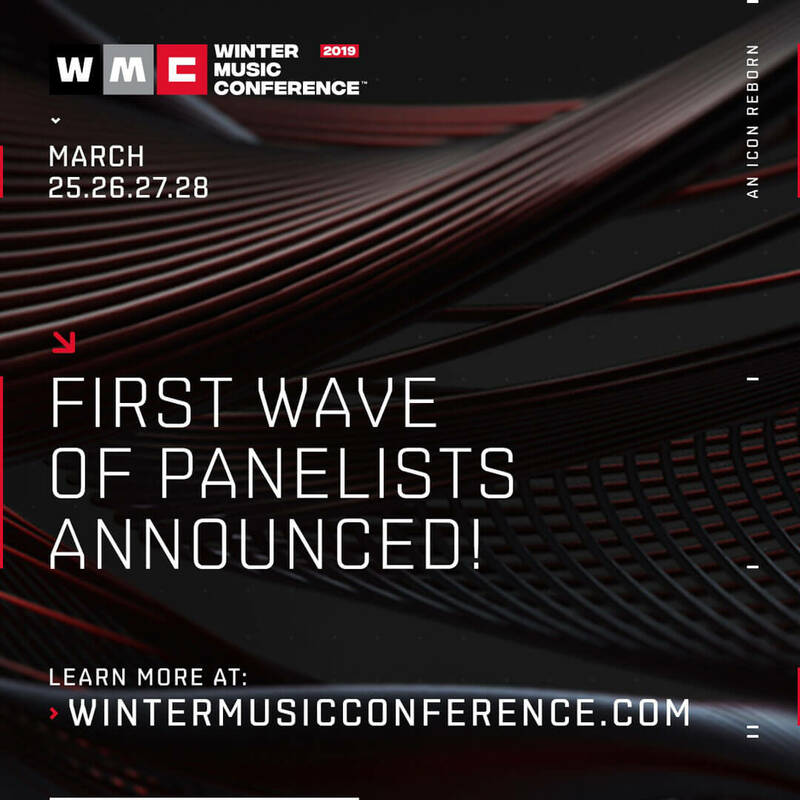 2019 marks the first fully-programmed WMC since it was announced in March 2018 that the organizers behind Ultra Worldwide, the world’s most successful independent, international music festival brand, had acquired the Winter Music Conference (founded in 1985) and International Dance Music Awards (IDMA) properties. The Ultra Worldwide acquisition aims to restore WMC’s status as the must-attend dance music industry and networking conference in the world. A property unlike any other, WMC’s exclusive hotel partner, The Faena, was named by Conde Nast Traveler as the #1 hotel in Miami Beach for two consecutive years (2017 & 2018) via their prestigious readers poll. Faena Forum is a pioneering public venue dedicated to presenting and showcasing the ambitious, the innovative and the groundbreaking in fields ranging from art and entertainment to business and beyond. Faena Forum, evocative of the ancient civic and architectural concept of a forum, aims to offer Miami a dynamic setting, allowing for ongoing programming under the direction of Faena Art, as well as use by private companies, institutions, and individuals. Alan Faena worked closely with OMA, the firm founded by Rem Koolhaas and Shohei Shigematsu, partner at OMA and Director of the New York office, who served as the lead architect for the three buildings, to ensure the 43,000 square-foot Forum is designed for ultimate flexibility. The space accommodates everything from a temporary culinary pop up to an acoustically optimal concert. Two volumes, a cylinder and a cube that are similar in size, can be combined or subdivided to support any type of production, from projects and commissions to performances, exhibitions and events. The building has two main levels. The lobby amphitheater features pink marble floors and technical capabilities for surround projections. The upper floor assembly hall features a 40-foot-high dome with a central glazed oculus and a floor-to-ceiling window overlooking Indian Creek. A walkway that spirals up the interior wall of the Forum from street level to the top of the dome which provides visitors with a range of perspectives on the space. Miami is a city that has experienced the transformative power of the arts. With this conviction in mind, Alan Faena and Len Blavatnik debuted Faena Hotel Miami Beach in December 2015, marking the first phase of openings in the Faena District Miami Beach. A new neighborhood rooted in the arts, Faena District will help catalyze a cultural renaissance in Miami and further enhance its reputation as a vital link between North and South. Located in the heart of Miami Beach, Faena District stretches north from 32nd Street to 36th Street, between the Atlantic Ocean and Indian Creek. Every single one of its elements defies convention while promoting cultural inclusiveness that will benefit the entire community. Faena District is the result of a collaboration between some of the most talented and creative minds who continue to challenge existing concepts of culture, entertainment and community. By integrating art, architecture, nature and technology, Faena District has changed the physical and cultural landscape of Miami Beach forever.